Panel during the Women and Climate side event. 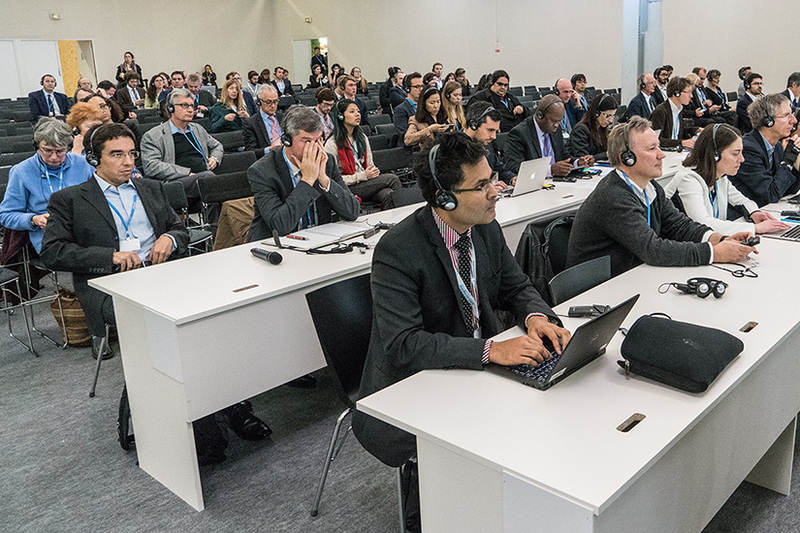 IISD Reporting Services, through its ENB on the Side (ENBOTS) Meeting Coverage, is providing web coverage, including photos and video, of an average of nine daily side events from the Paris Climate Change Conference - November-December 2015. 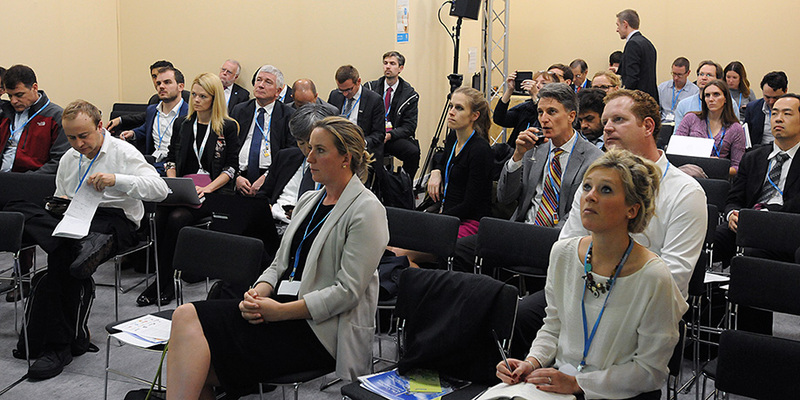 This side event, moderated by Barbara Buchner, CPI, explored on-the-ground with, and analytical work on, strategies to simultaneously meet growth and climate goals, focusing on land use and infrastructure investments. 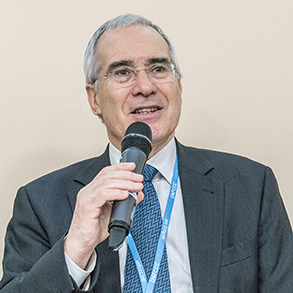 Nicholas Stern, Chair of Economics and Government, Grantham Research Institute, London School of Economics, noted that managing climate change and alleviating poverty are the two intertwined challenges of the 21st century, stressing that the next 20 years will be vital for addressing them. He underscored the opportunities arising from technological change and called for innovation and finance, especially for infrastructure, both in terms of quantity and quality. Thomas Heller, Executive Director, CPI, pointed to renewables’ expansion and relative prices, noting that the agenda has changed. He focused on the ways the financial system operates, underscoring that institutions have strategies and practices that demand liquid investment and locality. He stressed that while infrastructure is essential, quality of investment is central, and pointed out new financial institutions and sources of funding, including: crowdsourcing; distributive forms of investment; and thematic banking. 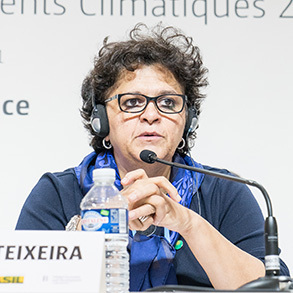 Urging a focus on solutions rather than on problems, Izabella Teixeira, Minister of Environment, Brazil, called for a new political framework allowing for the engagement of different stakeholders with proactive behavior. She highlighted the importance of clear rules, commitments and transparency for investments at the national and sub-national levels. 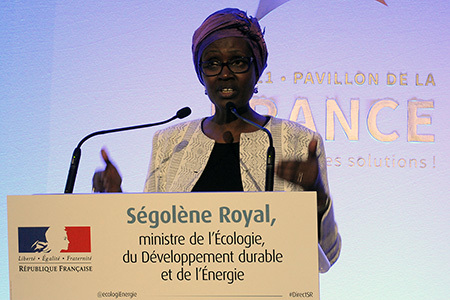 She underscored the role of Intended Nationally Determined Contributions (INDCs) and their implementation in the path of transformation to a low-carbon economy. Amar Bhattacharya, Brookings Institution, stressed that infrastructure is a connector between the SDGs, a key to inclusive growth and poverty reduction. He listed impediments to infrastructure, namely: policy constraints, including the absence of a carbon price; institutional challenges as most countries lack effective planning and management capacities; and financial impediments, noting that the cost of finance in emerging economies and developing countries is very high. Simon Upton, Organisation for Economic Co-operation and Development (OECD), said that economic transformational changes are essential to achieve climate change objectives, noting the process will involve winners and losers. He said that there is no evidence that environmental stringency in the regulatory sense is bad for economic growth, and underscored pricing of environmental externalities and the role of innovation to address environmental problems and deliver economic benefits. Discussing the role of philanthropy, Larry Kramer, President, Hewlett Foundation, said that new technologies cannot drive change by themselves because of inadequate regulatory frameworks. 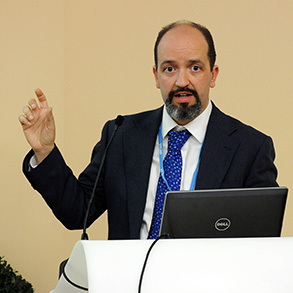 Noting that climate finance is relatively new for philanthropy, he stressed that while they cannot provide the resources for the necessary investments, they may assist in other ways, including technical assistance, funding for pilot studies, dispute resolution systems, and reliable and neutral monitoring. In the ensuing discussion, participants addressed, inter alia: urban transportation projects; legal mechanisms and their role in the transition towards low-carbon economies; divestment; and the way forward after COP 21. Amar Bhattacharya, Brookings Institution, stressed the role of multilateral development banks. 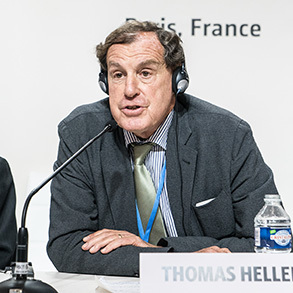 Thomas Heller, Executive Director, CPI, noted that at COP 21 "climate finance has come out of the closet." Panel (L-R): Barbara Buchner, CPI; Nicholas Stern, Chair of Economics and Government, Grantham Research Institute, London School of Economics (LSE); Thomas Heller, Executive Director, CPI; Izabella Teixeira, Minister of Environment, Brazil; Amar Bhattacharya, Brookings Institution; Simon Upton, OECD; and Larry Kramer, President, Hewlett Foundation. This side event, moderated by Brad Page, CEO, Global CCS Institute, discussed ways and means of financing CCS in the energy and industrial sectors. Page said that 45 large-scale CCS projects currently combine for a capture capacity of 80 Mtpan (million tonnes per annum) of CO2, noting that a substantial increase will be needed to reach 4,000 Mtpan, which is estimated to be required by 2040. Nicholas Stern, Chair of Economics and Government, Grantham Institute, London School of Economics (LSE), stressed that since fossil fuels will be used in the near future anyway, in addition to discussions on phasing them out, ways to handle them should also be addressed. He noted four ways to move towards the zero or negative emission rates that will be necessary in the second half of the 21st century: soil rehabilitation; reforestation; CO2 capturing from the air; and biomass with CCS. Philippe Benoit, International Energy Agency, highlighted: the need for a facility to upscale projects in developing countries; the amount of investment needed for CCS; and the need to fund not only pilots but also actual projects, involving non-traditional lenders. Focusing on key aspects of CCS implementation, Anita George, World Bank, underscored: familiarity with the technology across different sectors; capacity within countries; availability of space; and upfront costs. She drew parallels with supercritical and ultra-supercritical power plants, stressing the importance of large-scale adoption by countries like China, India or Indonesia. 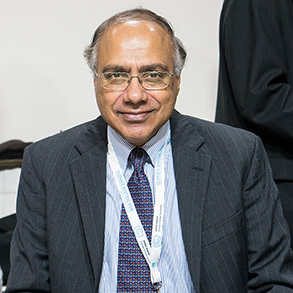 Abyd Karmali, Bank of America Merrill Lynch, noted that CCS has not received commercial financing so far, focusing on specific concerns including: CCS specific concerns, like the existence of operational projects with a proven track record; concerns related to emerging markets, including changes in domestic policy environment; and financial structuring concerns. Ashok Bhargava, Asian Development Bank, focused on China, noting that its INDC includes CCS. He highlighted the preparation of a CCS demonstration and deployment roadmap, and said that large demonstration projects should be ready to launch by 2020. He urged more research and development to bring down related costs, underscoring the importance of financing at the project development phase. Addressing CCS activities in Mexico, Rodolfo Lacy Tamayo, Ministry of Environment and Natural Resources, Mexico, noted that CCS is an important part of energy reform. Commenting on the energy sector, he stressed it is not possible to promote CCS without taking into account the environmental problems in the industry. Takeshi Nagasawa, Ministry of Economy, Trade and Industry, Japan, provided an overview of the Joint Crediting Mechanism (JCM), noting that 16 countries have already adhered to it and that 10-15 projects, primarily on energy efficiency, have already been adopted. He stressed that CCS-related projects can be expected in developing countries the near future. Participants then discussed, inter alia: national policies in developed countries compard to policies in developing countries; whether JCM is a market-based mechanism; plans to replace inefficient coal stations in Hong Kong; legal settings and long-term liability issues; and utilization in addition to storage regarding CCS. Anita George, World Bank, stressed that CCS adoption by countries like China or India will accelerate commercialization. 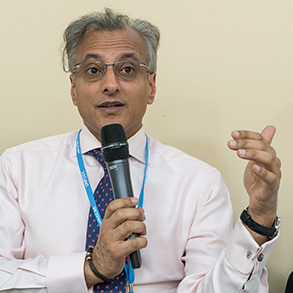 Abyd Karmali, Bank of America Merrill Lynch, noted that public finance is instrumental to lower the cost of capital and attract private investments. Nicholas Stern, Chair of Economics and Government, Grantham Institute, LSE, called for focusing on CCS potential, stressing that simply having a price for carbon will not be sufficient due to uncertainties at early innovation stages. Panel (L-R): Ashok Bhargava, Asian Development Bank; Abyd Karmali, Bank of America Merrill Lynch; Takeshi Nagasawa, Ministry of Economy, Trade and Industry, Japan; Rodolfo Lacy Tamayo, Ministry of Environment and Natural Resources, Mexico; Nicholas Stern, Chair of Economics and Government, Grantham Institute, LSE; Anita George, World Bank; and Philippe Benoit, International Energy Agency. 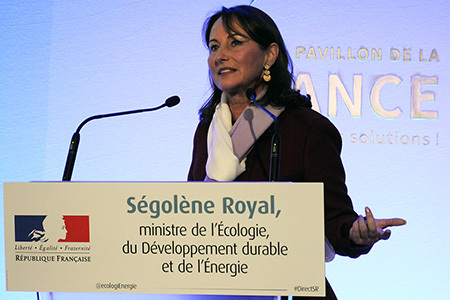 This session was hosted by Ségolène Royal, Minister of Ecology, Sustainable Development and Energy, France, who introduced the session by praising the women around the world who are at the forefront of climate change and working the hardest to protect the climate and provide for society. She underscored that climate change burdens often fall most heavily on women, and called for a more thorough understanding of the differentiated effects of climate change on men and women. 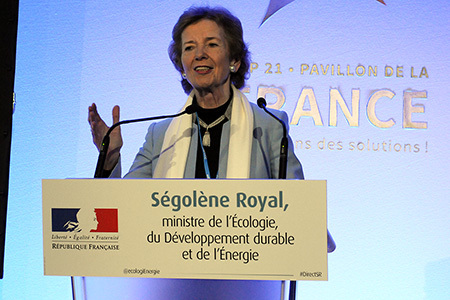 Mary Robinson, President, Mary Robinson Foundation, described her realization that climate change is a human rights issue, as climate change undermines the social and economic rights of vulnerable communities around the world. She emphasized that her Foundation works on climate justice, recognizing the injustice of climate change that most heavily burdens communities not responsible for its cause. 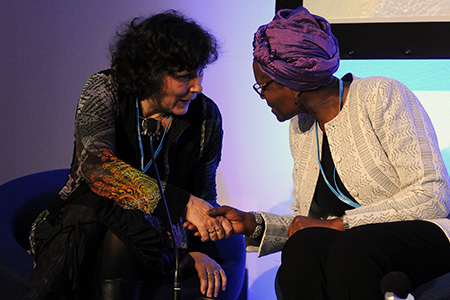 She highlighted the struggle involved in getting women’s rights recognized under the UNFCCC, noting with satisfaction current references to human rights and gender equality in the draft text of the agreement. Marie-Monique Robin, Film Director, showed extracts of her film ‘Women for the Planet’, featuring a Nepali farmer and her experience of rural community, agriculture, biogas, climate change and food security. She opined that the world cannot keep promoting an economic model that is based on infinite growth, noting that her work all around the world has shown her there are innumerable alternative models that are possible and being implemented. The ensuing discussion focused on: the role of men in the gender and climate movement; women’s access to education and training opportunities; and the biggest challenges the panelists have faced in their careers. 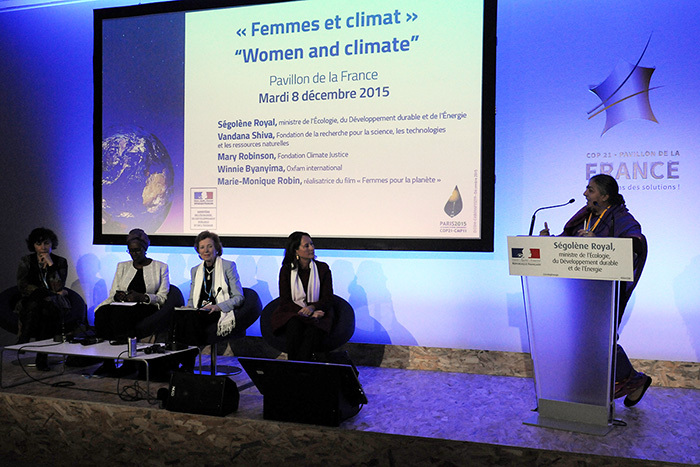 Ségolène Royal, Minister of Ecology, Sustainable Development and Energy, France, said only when women have equal rights and access to decision making, will the world be able to combat climate change in any meaningful way. 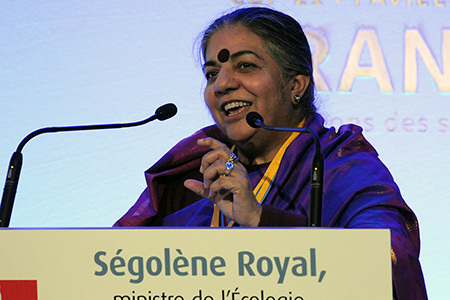 Vandana Shiva, Research Foundation for Science, Technology and Natural Resource Policy, emphasized that grassroots women in agriculture are ahead of research institutions working on climate adaptation, because they know “diversity is the key” for resilient, healthy and food-secure societies. 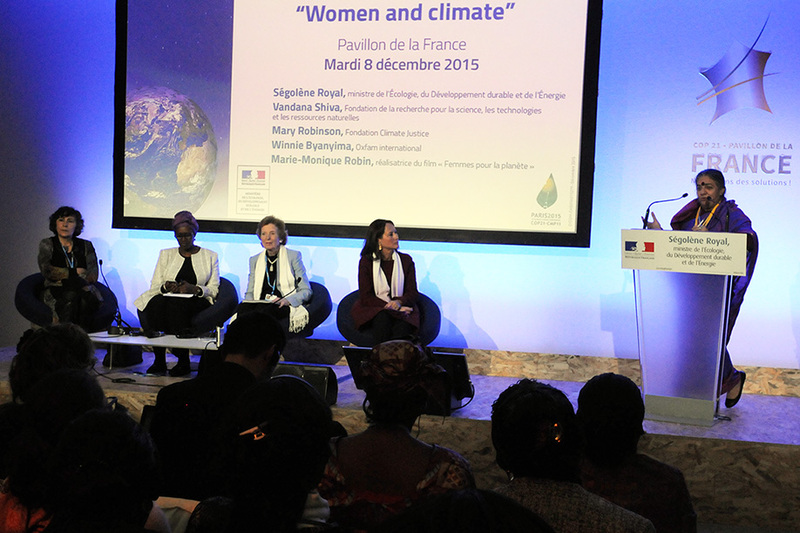 Panel (L-R): Marie-Monique Robin, Film Director; Winnie Byanyima, Oxfam International; Mary Robinson, President, Mary Robinson Foundation; Ségolène Royal, Minister of Ecology, Sustainable Development and Energy, France; and Vandana Shiva, Research Foundation for Science, Technology and Natural Resource Policy. Moderated by Lily Riahi, UNEP, participants at this event engaged in three panel discussions. 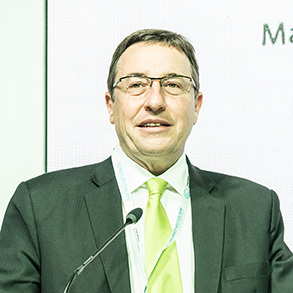 In his opening address, Achim Steiner, Executive Director, UNEP, noted that the world is now in a “changing economy driven by environmental change,” and called on business stakeholders to work with others to take advantage of the opportunities presented by the transition to a green economy. The panel discussion on building blocks for sustainable energy was introduced and moderated by Thibaud Voita, SE4All. 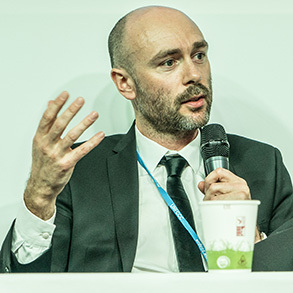 François Moisan, Executive Director, French Environment and Energy Management Agency (ADEME), drew attention to a fund dedicated to green renovation, and noted the agency’s support for green business solutions. 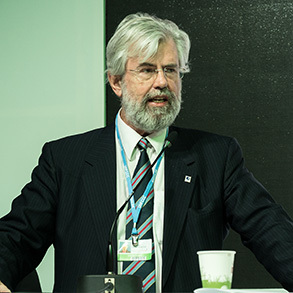 Hans Jørgen Koch, CEO, Nordic Energy Research, noted that CO2 emissions levels in Nordic countries have been stable over the last 25 years, and that in terms of carbon emissions from electricity production, the region was 25 years ahead of the rest of the world. Ismail Ibrahim, Chief Executive, Iskandar Region Development Authority, Malaysia, noted that, although the projections for energy use for Iskandar show a tripling in energy consumption, the city has policies to reduce energy consumption by 24% by 2025. Olivier Biancarelli, ENGIE, highlighted the creation of a decentralized division for cities and territories which will focus on smart lighting, green buildings, smart security and efficient city operations; and noted the need for an integrated approach to green cities. Mark Watts, CEO, C40, noted the importance of peer-to-peer exchanges between cities, highlighting that this accelerates the uptake of best practice. He said the cities most successful at attracting investment are the ones that are most connected to the practices of other cities. Célia Blauel, Deputy Mayor, Paris, introduced the session on district energy, noting the city’s work on the urban heating system mix, highlighting that it will lower consumers’ bills when fully implemented. 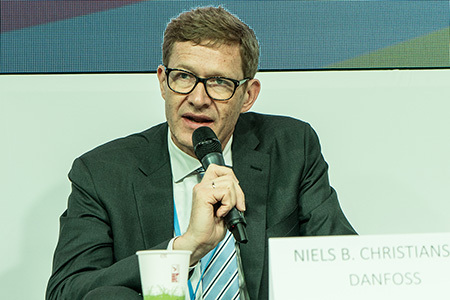 Niels Christiansen, CEO, Danfoss, noted that in some developing countries, like China, it would be possible to provide household heating from excess heat from manufacturing industries. He stressed the importance of public-private partnerships to fully implement district energy goals. Maryke van Staden, Executive Director, Carbonn Centre, ICLEI, noted the need for supporting national government policies and legislation to support the transition to district energy, and stressed the need for funding for local governments in developing countries to enable implementation. Carlo Germano, Veolia, underscored that district energy is the backbone to which renewable energy technologies can be attached, and highlighted the importance of public-private partnerships with multiple stakeholders from each sector. He noted that most barriers to district energy are “manmade” and include lack of awareness which leads to poor planning. Welcoming UNEP’s Global District Energy in Cities initiative, Stana Božović, State Secretary, Ministry of Agriculture and Environmental Protection, Serbia, said that although the country still relies on oil and natural gas for heating, there are plans underway to transition to green sources such as geothermal energy and biomass. 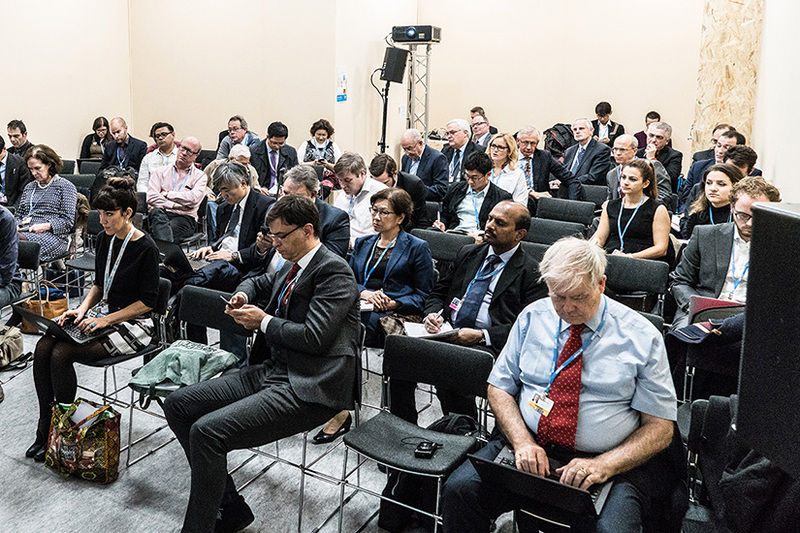 Kimmo Tiilikainen, Minister of Agriculture and the Environment, Finland, introduced the panel discussion on delivering investment in carbon-neutral cities, noting that a US$26 trillion market would be created by building 26 smart cities in five years. Matthew Pencharz, Deputy Mayor for Environment and Energy, London, UK, highlighted the leveraging of financing for district energy in London. Ulf Kamne, Vice Mayor, Gothenburg, Sweden, drew attention to green bonds as a means of financing the implementation of district energy, also noting their utility in convincing politicians of the profitability of green projects. Thabo Manyoni, Executive Mayor, Mangaung Metropolitan Municipality, South Africa, highlighted his Office’s intention to buy green energy from private sector-run projects. In closing, Kristian Jensen, Minister of Foreign Affairs, Denmark, stressed that as cities will play a major role in combating climate change and the global transition to a green economy, systems thinking is necessary to ensure that all challenges are adequately addressed. Panel (L-R): Mark Watts, CEO, C40; Olivier Biancarelli, ENGIE; Thibaud Voita, SE4All; Ismail Ibrahim, Chief Executive, Iskandar Region Development Authority, Malaysia; Hans Jørgen Koch, CEO, Nordic Energy Research; and François Moisan, Executive Director, ADEME. Mark Watts, CEO, C40, noted that successful cities can draw investment into green, clean cities. 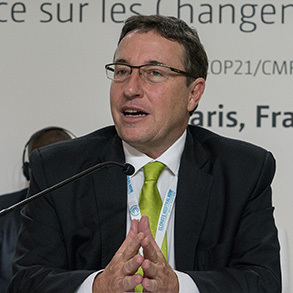 Achim Steiner, Executive Director, UNEP, likened the opportunities presented by the transition to green energy in cities as akin to the introduction of the internet in the technology sector. Hans Jørgen Koch, CEO, Nordic Energy Research, said that in Nordic countries there has been a decoupling of GDP from energy-related CO2. Panel (L-R): Niels Christiansen, CEO, Danfoss; Lily Riahi, UNEP; Carlo Germano, Veolia; Stana Božović, State Secretary, Ministry of Agriculture and Environmental Protection, Serbia; and Maryke van Staden, Executive Director, Carbonn Centre, ICLEI. Niels Christiansen, CEO, Danfoss, said that the time is now right for all mayors to be the “early followers” in the rolling out of district energy. Maryke van Staden, Executive Director, Carbonn Centre, ICLEI, called for education, capacity building and awareness on district energy for local level leaders to consider and implement it. Jane Hartley, US Ambassador to France and Monaco, opened the session on the role of the Clean Energy Ministerial (CEM) as an implementation forum for effective clean energy policies and programmes for the achievement of Intended Nationally Determined Contributions (INDCs). Ernest Moniz, Secretary of Energy, US, underscored the important role of the CEM in contributing to solutions for addressing the challenges being discussed at COP 21. He highlighted key new initiatives of CEM 2.0, launched at CEM6 in Mérida, Mexico, including the Global Lighting Challenge and the scaling up of the Clean Energy Solutions Center. 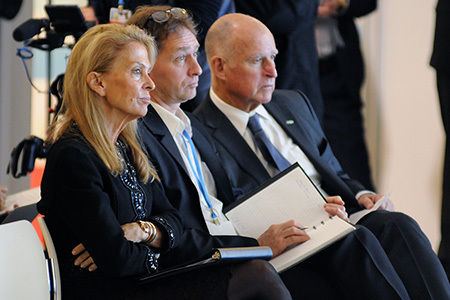 Jerry Brown, Governor, California, highlighted a key challenge in his state is to cut vehicle emissions, and described California’s ‘Under 2 MOU’ initiative, to cut per capita emissions from 11 to 2 tonnes of CO2, through measures and regulatory frameworks such as the promotion of zero emission vehicles. 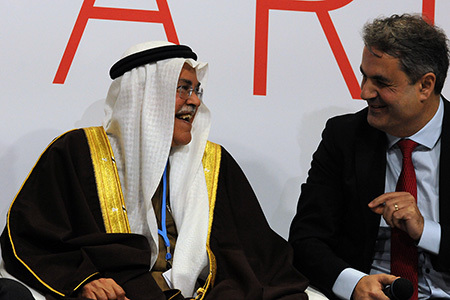 During a panel discussion, Ali Al-Naimi, Minister of Petroleum and Mineral Resources, Saudi Arabia, said the CEM offers a practical approach to real world problems, placing technology at the forefront of answers to global challenges. He underscored the commitment of Saudi Arabia to develop solutions in the fields of renewable energy (RE) and energy efficiency (EE). 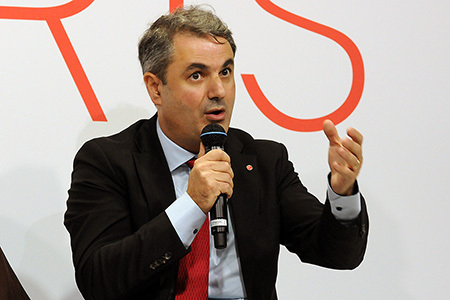 Ibrahim Baylan, Minister for Energy, Sweden, said his country’s participation in the CEM is a way of contributing to global initiatives, but also of learning from others. He pointed to the important role of cities in the CEM process, and spoke of interest in the initiatives on EE and gender equality in industry. The discussion also considered, inter alia: fusion energy; the role of EE in addressing climate change; and biofuels. Lars Christian Lilleholt, Minister for Energy, Utilities and Climate, said the CEM 2.0 process showed a clear message that a global transformation to clean energy was one of the solutions to climate change, highlighting the critical role of the CEM in the follow up to COP 21, as an implementation forum combining high-level discussions with action on the ground. Ibrahim Baylan, Minister for Energy, Sweden, observed the key role of collaboration, noting that no state alone can solve the challenge of climate change, and highlighted the key additional benefits of action such as reduced air pollution and better health. 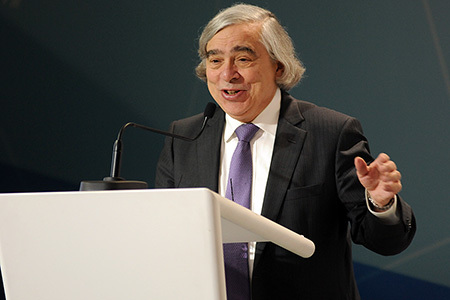 Ernest Moniz, Secretary of Energy, US, said the road from Paris would involve the solutions to meet the ambitious targets of COP 21. 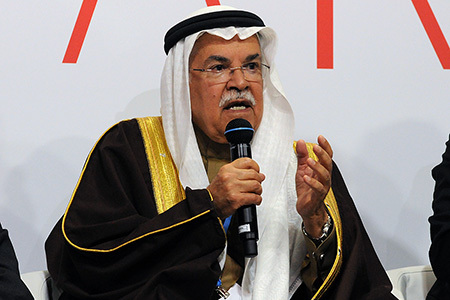 Ali Al-Naimi, Minister of Petroleum and Mineral Resources, Saudi Arabia, highlighted three key steps in the carbon management roadmap: boosting EE; investing in education; and investing time and resources in technology development. 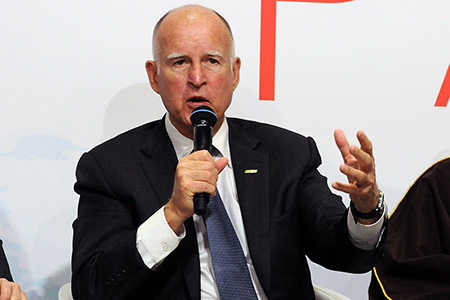 Jerry Brown, Governor, California, spoke on California’s plans and targets to cut greenhouse gas (GHG) emissions, pointing to the state’s position as third oil producing state, and largest consumer, in the US. 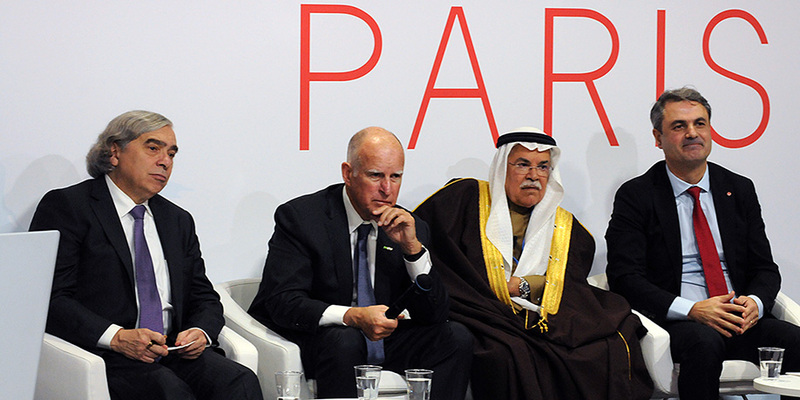 Panel (L-R): Ernest Moniz, Secretary of Energy, US; Jerry Brown, Governor, California; Ali Al-Naimi, Minister of Petroleum and Mineral Resources, Saudi Arabia; and Ibrahim Baylan, Minister for Energy, Sweden. Asher Minns, UEA, introduced the event. 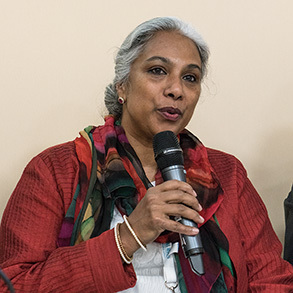 Calling it “the most important side-event at COP 21,” Youba Sokona, South Centre, chaired the event, emphasizing the need to understand the challenges to achieving the 2°C goal. 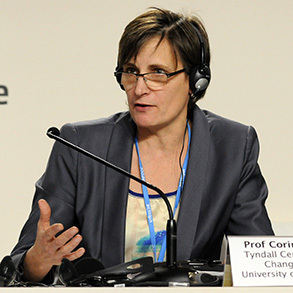 Corinne Le Quéré, UEA, presented the findings of the Global Carbon Project on anthropogenic perturbation of the global carbon cycle, explaining that global emissions are projected to stall in 2015, largely due to reduced coal consumption in China. 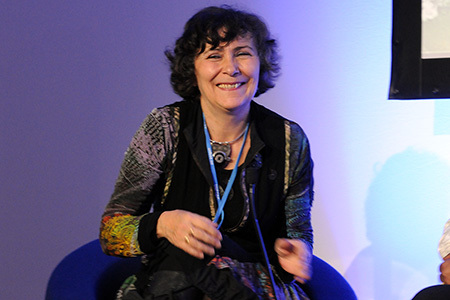 She further explained that scenarios assessed by the Intergovernmental Panel on Climate Change (IPCC) to achieve the 2°C goal require negative emissions and that while intended nationally determined contributions (INDCs) submitted ahead of COP 21 have moved away from the extreme scenarios, infinite other emission scenarios still exist. Dabo Guan, UEA, presented on China’s recent emissions status. He explained that emissions in China have peaked, due to reduced Gross Domestic Product (GDP) growth, and that CO2 emission intensity in China has improved, due to reduced consumption of coal. He added that reduced coal consumption is not only aimed at addressing climate change, but also at air pollution. 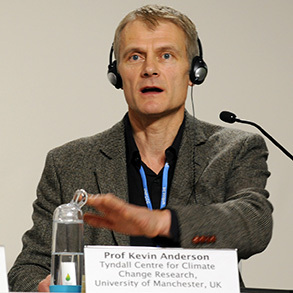 Stressing the chasm between collective commitments on climate change action and emission levels, Kevin Anderson, University of Manchester, explained that INDCs put the world on a path that is well above 2°C, and that “we are continuing to lock ourselves to increasing CO2 emissions.” He pointed out that submitted INDCs are prejudging the chance to achieve the 2°C goal, calling for cutting energy demand and for a Marshall-like plan to reconstruct the energy system, and cautioning against reliance on negative emissions technologies. 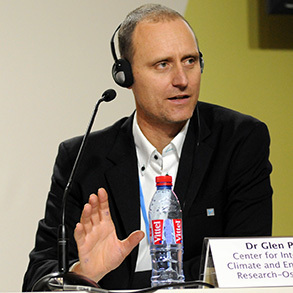 Glen Peters, CICERO, presented research on measuring a fair and ambitious climate agreement, explaining that the budget may be shared on the basis of multiple criteria, including: current distribution of emissions; population; and economic activity per capita. He underscored that all large emitters need to dramatically reduce their emissions to reach the 2°C goal. Ensuing discussions addressed, inter alia: whether the 1.5°C goal is still within reach; the distribution of the global carbon budget; decoupling economic growth from emissions; the role of sectorial emissions; policy-science dialogue; the role of research institutions in raising public awareness; continued reliance on fossil fuels; equity questions underlying emission reductions; renewable energy use and public acceptance; the role of emission from agriculture; and the feasibility of a global carbon budget. 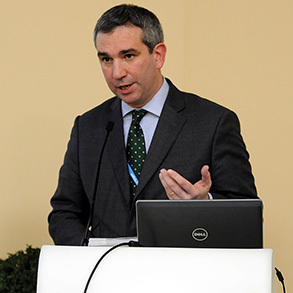 Glen Peters, CICERO, pointed out that all large emitters’ INDCs are far from fair and ambitious. 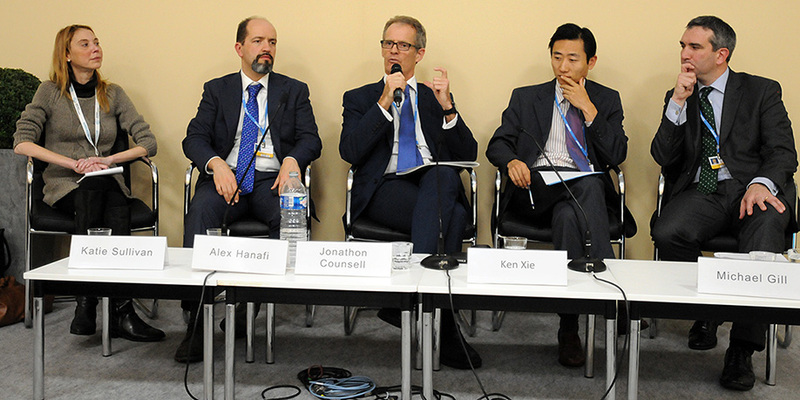 Kevin Anderson, University of Manchester, explained that INDCs put us on a path that is well above 2° C.
Panel (L-R): Youba Sokona, South Centre; Corinne Le Quéré, UEA; Dabo Guan, UEA; Kevin Anderson, University of Manchester; and Glen Peters, CICERO. This event, introduced by Mario Boccucci, Head, UN-REDD Programme Secretariat, considered the role of REDD+ in climate change mitigation and in the implementation of the Paris agreement, as well as the role of the UN-REDD Programme to realize this. Underscoring the role of forests in providing ecosystem services, Helen Clark, Administrator, United Nations Development Programme (UNDP), called for the halting of deforestation, as the quickest and largest climate change mitigation measure available. She recalled 64 countries have received readiness support through the UN-REDD Programme, highlighting the establishment of the Community-Based REDD+ initiative to engage Indigenous Peoples and local communities in the design, implementation and monitoring of REDD+. Underscoring balance is overwhelmingly positive, Achim Steiner, Executive Director, United Nations Environment Programme (UNEP), described the UN-REDD Programme as an exemple of the UN delivering as one, and called for scaling-up efforts. Highlighting the role of inter-ministerial cooperation in forest stewardship, Ivannia Quesada Villalobos, Vice Minister for Agriculture and Livestock, Costa Rica, shared insights from Costa Rica’s experience with REDD+. Calling for integrated approaches to land use, Maria Helena Semedo, Deputy Director General, United Nations Food and Agriculture Organization (FAO), stressed forests’ critical role in food security and poverty eradication, as well as climate change mitigation, and FAO’s role in supporting countries with forest management, including with forest related INDCs action. Bukar Hassan, Permanent Secretary for Environment, Nigeria, shared insights from Nigeria’s experience with REDD+, underscoring REDD+ is not only about forests, but also about improving livelihoods and the conditions of forest communities. 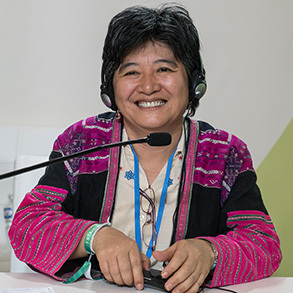 Joan Carling, UN Permanent Forum on Indigenous Issues (UNPFII), congratulated the UN-REDD Programme for its role in enhancing Indigenous Peoples’ participation in national and international decision-making on REDD+, pointing out that, in certain countries, this had never happened before. She highlighted that issues of land tenure and evaluation of how safeguards are implemented remain outstanding, and called for placing Indigenous Peoples at the center of forest governance. Recalling Norway’s continued support to the UN-REDD Programme, Jens Frølich Holte, Ministry of Environment and Climate Change, Norway, called for tailor-made solutions to enable countries to take full control of transforming their forest economies. 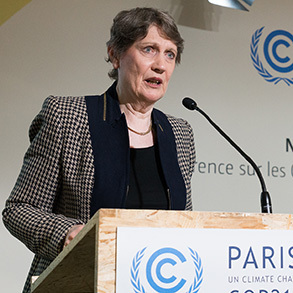 Helen Clark, UNDP, called for the Paris agreement to scale-up resources for REDD+. Joan Carling, UNPFII, highlighted Indigenous Peoples’ participation in REDD+ decision making at the national and international level. Achim Steiner, Executive Director, UNEP, paid tribute to civil society and Indigenous Peoples who helped shape the path of the UN-REDD Programme. Panel (L-R): Helen Clark, Administrator, UNDP; Achim Steiner, Executive Director, UNEP; Maria Helena Semedo, Deputy Director General, FAO; Bukar Hassan, Permanent Secretary for Environment, Nigeria; Ivannia Quesada Villalobos, Vice Minister for Agriculture and Livestock, Costa Rica; and Joan Carling, UNPFII. Michael Gill, Executive Director, ATAG, opened the event, highlighting the crucial moment in time for both aviation and climate change, and stating that a historic agreement on aviation’s contribution to climate change is “within touching distance.” Pointing to positive progression in ICAO discussions regarding the global market-based measure (GMBM), he underscored two key political issues: the distribution of obligations to offset emissions between operators; and the incorporation of the principle of common but differentiated responsibilities (CBDR) and the Chicago principle of non-discrimination. Alex Hanafi, Environmental Defense Fund (EDF), presented on key issues for an effective MBM in the aviation sector, highlighting key questions to be resolved, including how to ensure emissions unit quality and ensure no double counting or claiming. He suggested ICAO ensure that emissions units enter into MBMs only in jurisdictions that account for those reductions when reporting on their own Intended Nationally Determined Contributions (INDCs). 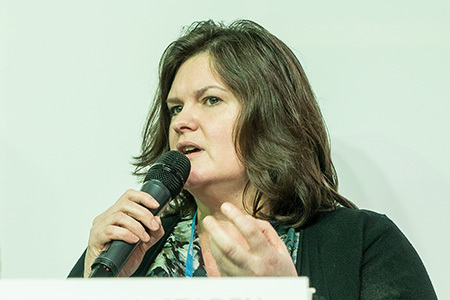 Katie Sullivan, International Emissions Trading Association (IETA), outlined the global situation regarding carbon pricing, referring to the “brave new world” in which governments, oil and gas companies, and investors are leading the global momentum in carbon pricing. She presented a ‘post-2020 INDCs map’ showing countries intending to use markets to reach their INDC goals. Jonathon Counsell, International Airlines Group, indicated that his company strongly supports a GMBM, stressing its importance for incentivising the use of sustainable biofuels, and its fundamental role in achieving the industry’s long-term carbon reduction targets. He outlined the UK’s Sustainable Aviation body’s Carbon Roadmap, under which a GMBM is one of four key elements, alongside improving operating efficiencies, using next-generation aircraft technologies, and using biofuels. Ken Xie, Department of Foreign Affairs and Trade, Australia, pointed out the value of strong engagement between business, civil society and ICAO, emphasizing the importance of developing a GMBM that is designed in a way that works for businesses, based on existing MBMs. He described some key political issues to be overcome, including how to determine baselines and offset obligations, and how to set allocations in a cap-and-trade system. During discussion, participants considered, inter alia: problems with long-term reliance on offsetting; allocation of rights to sell emissions reductions; links between decisions in UNFCCC and ICAO; and implications for the EU Emissions Trading Scheme. Alex Hanafi, EDF, said a legal agreement from COP 21 could contribute to the development of a GMBM by, inter alia, providing additional clarity on the role and operation of MBMs in the pre- and post-2020 periods. Katie Sullivan, IETA, outlined the many existing tools, programmes and methodologies for carbon pricing on which ICAO can base the GMBM. Michael Gill, Executive Director, ATAG, said the aviation industry was supportive of a new climate change agreement. Panel (L-R): Katie Sullivan, IETA; Alex Hanafi, EDF; Jonathon Counsell, International Airlines Group; Ken Xie, Australia; and Michael Gill, Executive Director, ATAG. 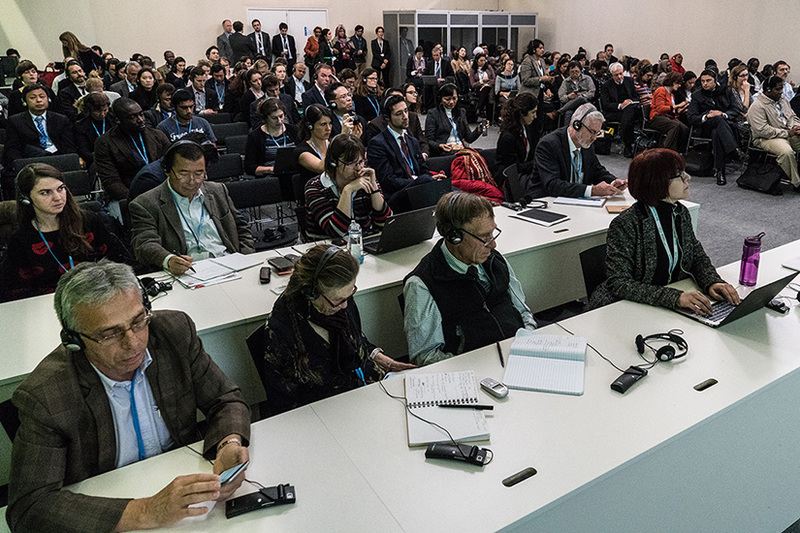 This side event, moderated by Dimitri Zenghelis, Grantham Research Institute, LSE, discussed the findings of two recent studies on the credibility of national climate-related policies and the prospects for meeting emissions targets post-Paris. 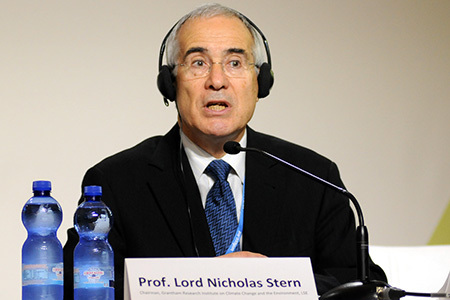 Nicholas Stern, Chair of Economics and Government, Grantham Research Institute, LSE, considered the politics of asking people to change their behaviour, highlighting that actual and perceived credibility is “absolutely fundamental” to give people confidence to invest in climate change at the necessary scale. 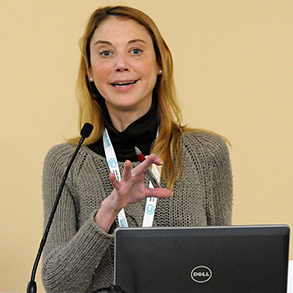 Alina Averchenkova, Grantham Research Institute, LSE, presented a study on political credibility of national actions and INDCs, which developed a framework for assessment of credibility and applied it to G-20 countries. She highlighted that the credibility of national climate policies are not only determined by their INDC, but also by, inter alia: legislative coherence; transparent and inclusive decision making; dedicated public bodies; and track record of delivering previous climate change commitments. John Prescott, UK Parliamentary Assembly of the Council of Europe, emphasized the fundamental importance of national legislators and parlimentarians in implementing any future climate agreement, saying they “have to stay tough” to deliver on their countries’ INDC commitments and maintain credibility among investors. 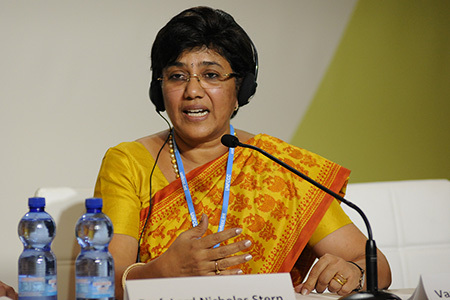 Vandana Chavan, MP, India, noted her parliament’s coherent voice on climate change, attributing it in part to the perception among industry and civil society that climate change is not only a threat to human kind, but also an opportunity, for sustainable agriculture, climate innovations, resilient urban cities and clean energy. Kennedy Graham, Member of Parliament, New Zealand, noted challenging narratives around climate change in his country, including a sense of denial that they are among the highest per capita emitters; and a “deluded” perception that they have a comprehensive climate policy. He lamented this narrative, opining that it contributes to a lack of policy predictability and undermines potential investment in climate mitigation and adaptation. The ensuing discussion focused on: whether the UK has overstretched its long-term ambitions at the expense of short-term goals; the importance of attracting climate finance and technology in countries with low credibility and weak institutions; and current compliance with EU climate policy. 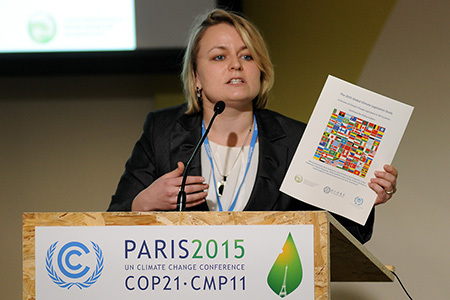 Alina Averchenkova, Grantham Research Institute, LSE, presented on a global study of climate change legislation in 99 countries, accounting for 93% of global greenhouse gas emissions. Nicholas Stern, Chair of Economics and Government, Grantham Research Institute, LSE, said “certainty is not on offer,” but a strong legal structure is part of how potential investors judge a countries’ credibility. Vandana Chavan, MP, India said that weather intensification in India over the past five to seven years has been a wake up call for civil society, the private sector and policy makers in the country. 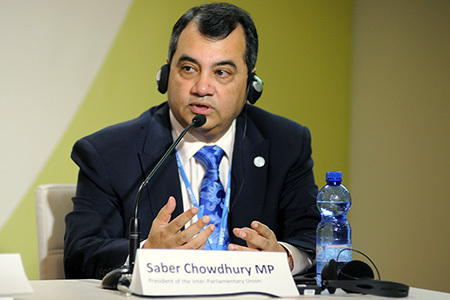 Saber Chowdhury, President, IPU highlighted the mutually reinforcing nature of Sustainable Development Goals (SDGs), disaster risk reduction and climate change, noting the UN estimates 90% of natural disasters are climate-related. Panel (L-R): Alina Averchenkova, Grantham Research Institute, LSE; Kennedy Graham, MP, New Zealand; Dimitri Zenghelis, Grantham Research Institute, LSE; John Prescott, UK Parliamentary Assembly of the Council of Europe; Nicholas Stern, Chair of Economics and Government, Grantham Research Institute, LSE; and Vandana Chavan, MP, India. The Earth Negotiations Bulletin on the Side (ENBOTS) © <enb@iisd.org> is a special publication of the International Institute for Sustainable Development (IISD). This issue has been written by Lynn Finnegan, Tallash Kantai, Gillian Nelson, Ph.D., Annalisa Savaresi, Ph.D., and Asterios Tsioumanis, Ph.D. The Digital Editors are Naomi Devine and Brad Vincelette. The Editor is Dan Birchall <dan@iisd.org>. The Director of IISD Reporting Services is Langston James “Kimo” Goree VI <kimo@iisd.org>. The Sustaining Donors of the Bulletin are the European Union, the Government of Switzerland (the Swiss Federal Office for the Environment (FOEN), the Swiss Agency for Development and Cooperation (SDC)), and the Kingdom of Saudi Arabia. General Support for the Bulletin during 2015 is provided by the German Federal Ministry for the Environment, Nature Conservation, Building and Nuclear Safety (BMUB), the New Zealand Ministry of Foreign Affairs and Trade, SWAN International, the Finnish Ministry for Foreign Affairs, the Japanese Ministry of Environment (through the Institute for Global Environmental Strategies - IGES), the United Nations Environment Programme (UNEP), and the International Development Research Centre (IDRC). The opinions expressed in ENBOTS are those of the authors and do not necessarily reflect the views of IISD and funders. Excerpts from ENBOTS may be used in non-commercial publications only with appropriate academic citation. For permission to use this material in commercial publications, contact the Director of IISD Reporting Services at <kimo@iisd.org>. 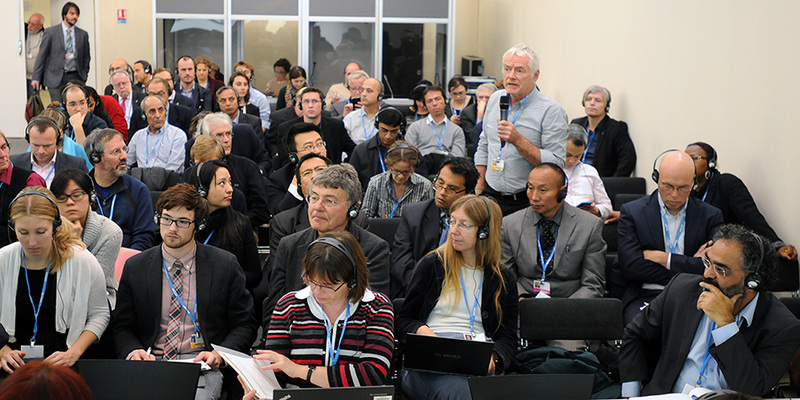 Electronic versions of issues of ENBOTS from the Paris Climate Change Conference - November 2015, can be found on the IISD Reporting Services website at http://enb.iisd.org/climate/cop21/enbots/. The ENBOTS Team at the Paris Climate Change Conference - November 2015, can be contacted by e-mail at <tallash@iisd.org>.